Summary: According to researchers, success in big events can help boost a nation’s health and wellbeing. The study, which looked at data from people whose countries participate in the Eurovision song contest, found people were 4% more likely to be satisfied with their lives with every ten place increase on the final score board. Additionally, finishing near the bottom was linked to a 13% increase in life satisfaction compared to people whose countries did not participate in the contest at all. Participating in the Eurovision Song Contest may be linked to an increase in a nation’s life satisfaction, according to new research. The study, by scientists at Imperial College London, found that people were four per cent more likely to be satisfied with their life for every increase of ten places on the final score board – e.g. their country finishing 2nd rather than 12th. The research, published in the journal BMC Public Health, also found doing badly in the contest was associated with a greater increase in life satisfaction compared to not taking part at all. The team, who were surprised to find the result, say the research chimes with previous studies that show success in big events, such as sporting fixtures, can boost a nation’s health and well-being. Dr Filippos Filippidis, lead author of the research from the School of Public Health at Imperial, said: “This finding emerged from a jokey conversation in our department. Our ‘day job’ involves investigating the effect of public policies, environmental factors and economic conditions on people’s lifestyle and health. The researchers analysed data from over 160,000 people from 33 European countries. All the people completed a questionnaire as a part of a survey called the Eurobarometer, which is conducted several times each year by the European Commission. Among other things, the survey asks people how satisfied they feel with their life. The team, who analysed data collected around the time of the Eurovision Song Contest (May and June) between 2009-2015, found that people reported being more satisfied with their life if their country had done well in the Eurovision Song Contest that year. The researchers then calculated an increase of 10 places on the final scoreboard – e.g. if a country finished 2nd instead of 12th – was associated with a four per cent higher chance of being satisfied with life. However, winning the competition was not associated with an additional increase in life satisfaction. Could Eurovision impact on life satisfaction? NeuroscienceNews.com image is in adapted from the Imperial College London news release. The scientists then compared data from countries who participated but did badly, to countries who didn’t take part at all. They found that taking part but finishing near the bottom of the table was associated with a 13 per cent higher chance of life satisfaction compared to not taking part in the competition. The team stress the research only shows there is an association – rather than directly showing the contest is responsible for raising life satisfaction. However, Dr Filippidis says the work highlights the possible impact of big events on a nation’s psyche. He added that doing well in Eurovision or even just being part of it gives people something positive to discuss – rather than more negative events in the news. But he admits he wouldn’t call himself a fan of the competition. Funding: Jacek Debiec receives funding from University of Michigan, National Institutes of Health and Brain & Behavior Research Foundation. Image Source: NeuroscienceNews.com image is adapted from the Imperial College London news release. Video Source: Video credited to Imperial College London. Original Research: Open access research for “Euphoria” or “Only Teardrops”? Eurovision Song Contest performance, life satisfaction and suicide” by Filippos T. Filippidis and Anthony A. Laverty in BMC Public Health. Published May 11 2018. Imperial College London”Eurovision Song Contest Associated With Increase in Life Satisfaction.” NeuroscienceNews. NeuroscienceNews, 11 May 2018. 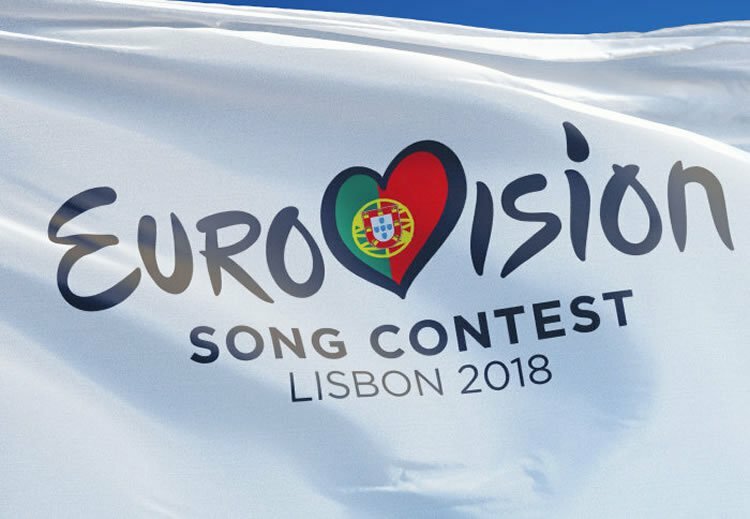 Imperial College London”Eurovision Song Contest Associated With Increase in Life Satisfaction.” http://neurosciencenews.com/eurovision-life-satisfaction-9031/ (accessed May 11, 2018). The popularity of the Eurovision Song Contest (ESC) in Europe has been high for decades. We aimed to assess whether a country’s performance in the ESC is associated with life satisfaction and suicide mortality in European countries. We analysed nationally representative Eurobarometer survey data on life satisfaction from 33 European countries (N = 162,773) and country-level standardised suicide mortality data for years 2009 to 2015. The associations of winning the Contest, performing terribly, and higher final ranking with life satisfaction and suicide rates were all assessed. Winning the ESC was not statistically significantly associated with increased life satisfaction or suicide rates, although every ten-place increase in final ranking was associated with an increase in life satisfaction (adjusted odds ratios [aOR] 1.04; 95% confidence interval [CI]: 1.02 to 1.05) and a decrease in suicide mortality rates (β = − 0.30; 95% CI: -0.59 to − 0.01). Terrible performance was associated with greater life satisfaction compared to not competing at all (aOR 1.13; 95%CI: 1.07 to 1.20). The good news for participating countries is that just competing at the ESC is associated with higher life satisfaction among the population. As improved performance is linked to Ooh Aah Just a Little Bit of improved life satisfaction, further research into how such international competitions may impact public health is needed.